On April 1, 2014, Someone is cutting the locks off Ontario Place. 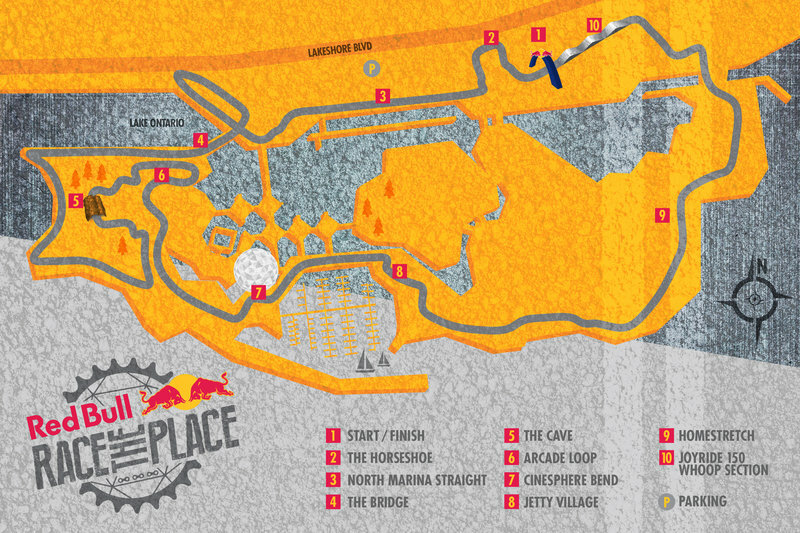 On April 19, Red Bull Race the Place will take over Toronto’s iconic island for the first-ever urban cycling race at the site. This is not the kind of amusement ride you remember as a kid; racers will take on a speed-soaked chase through the island’s industrial jungle full of hairpin turns, pedal heavy straight-aways and other urban obstacles. This will be the first time anyone has accessed Ontario Place since closing its doors to the public in 2011. Taking cues from legendary city scrambles and crit races like the Red Hook Crit Race in New York City, Red Bull Race the Place will take racers on multiple laps of a 3.7km long track around Ontario Place. The track is a fast, technical circuit featuring tight corners, bridges, narrowing lanes that will force racers to jockey for position and flat out straight-aways that will for sure leave legs burning. To spice things up, racers will navigate a few obstacles that might be found on city streets adding a new dimension to the challenge. Full details and race schedule can be found here. Regulations, rules and bike specs can be found here. Cyclists can pick one of two categories to enter (fixed or open gear). Time trials will first challenge competitors to race single laps of the track; the fastest 40 cyclists from the fixed gear category along with the fastest 40 cyclists from the open gear category will proceed to the mass start final. First across the finish line wins.